Click on the image to open full-size for download. Have you ever been doing something that has made you break out in to a sweat and though "Ohhhhh, I wonder how many calories I just burnt then?" For instance I've had to help Rachel carry shopping bags down escalators, through the car park, out of the car, up the stairs and in to the kitchen and have needed to lay down and have a nap I was that exhausted. Obviously doing different activities and exercises are going to affect your heart rate depending on the intensity you do them, but also playing into the fact that your Basal Metabolic Rate (BMR) will change the amount of cals you burn from day to day activity. Your BMR is based on your age, weight and height and determines the amount of calories you need to burn through out the day to maintain energy, or wether you lose or gain weight depending on if you are over or under your daily intake. Things like doing the dishes, playing with the dogs, fixing the car all burn calories too but on a very low level, in fact whilst you are sleeping your body goes in to repair mode where it's BMR is at work helping your proteins help your body recover so it's bigger and stronger the next day. So here is a list of a few exercises, sports and activities that may interest you in how many calories you actually burn from them. 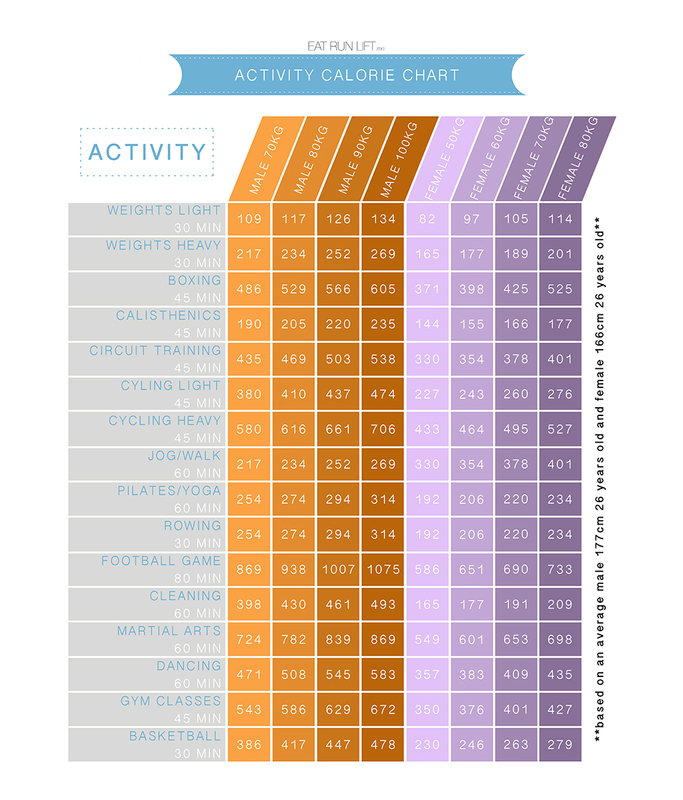 If you want to know how many calories you burn in something that's not listed, leave a comment with your name, age, height and weight with what exercise or activity you would like to know!